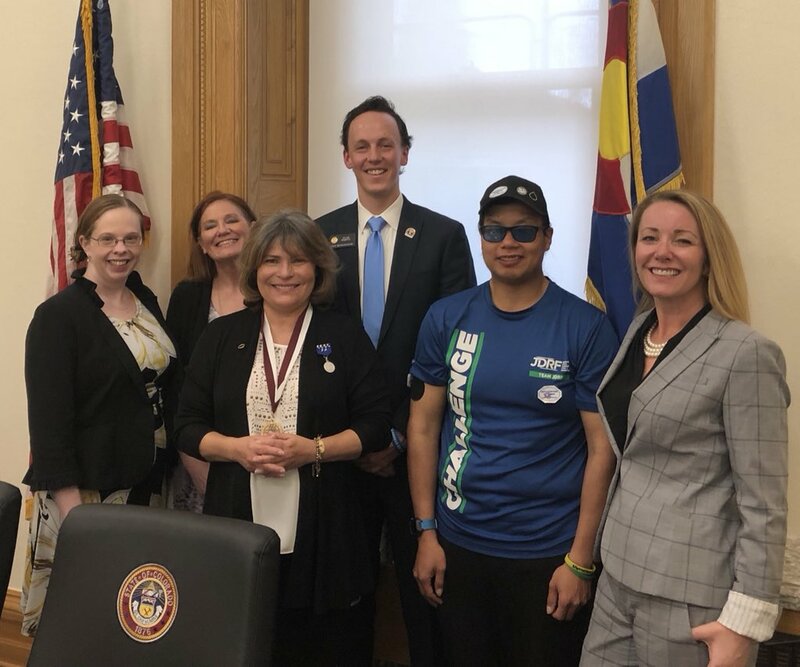 Yesterday I testified on House Bill 1009, Diabetes Drug Pricing Transparency Act 2018 in the Colorado State Legislature’s House Health, Insurance, and Environment Committee. Today is the other side of advocacy. HB 1009 bill was for transparency on insulin prices – asking pharmaceutical manufacturers, pharmacy benefit managers, insurers, and non profits to report on the costs of insulin. It’s an important bill because while insulin cost $21 back in 1996, it now costs on average $300 out of pocket, with insurance. All of the entities are pointing at each other – manufacturers blame PBMs and insurers, PBMs blame manufacturers and insurers, and insurers blame manufacturers and PBMs. It’s absurd as they go round and round and yet people are dying because they can’t afford insulin, going to the ER in diabetic ketoacidosis, or relying on GoFundMe sites and our underground connections to get insulin. I’ve talked about this in previous posts. Anyone who knows me, knows that pharma prices and operations have been a key part of my work. Growing up a doctor and pharmacists daughter, I saw the waste. In college, studying international economics, including TRIPS, I saw the inefficiencies. In law school, studying human rights, I saw my mission to focus on health as a human right. Finally, bills are being brought forward AND passing in states across the country to at least ask for transparency. A first step to see why prices are so high so that we can ultimately fix what is wrong. It was invigorating to be back in a state legislature, feeling part of health policy again. It reminded me of my work at the Texas state legislature and the bills I worked all hours of the day and night on (phone calls at 3:30am, at the office by 5:30am [without a car], home after midnight). I loved that work. It was hell on my mental and physical health but I loved it and I learned so much there. Yesterday was an opportunity to bring those skills back. Not just yesterday but really the last year and a half of organizing with people across the world. Helping T1Intenational with their human rights documents and advocacy resources, supporting the bill in Nevada and talking about state issues with reporters, getting people information about the hearing here, talking with the representative who brought the bill, listening to others, raising up others’ voices, sharing on twitter what was happening here. People in Kentucky are so heartened by the testimony that, despite knowing how conservative the legislature is, doubled down their efforts to bring their own bills to their state legislature. Folks in Connecticut saying how badly they wish they had a bill like this. And I heard from so many more likewise heartened by the Committee’s vote yesterday. I heard from people in Nebraska, Indiana, North Carolina, Virginia, DC, Minnesota, Iowa, and even Canada and England. The loved ones of Alec Raeshawn Smith’s, one of the diabetics who died from lack of access to insulin, and whose name I mentioned in my testimony, reached out in gratitude. The hearing yesterday, and my very small part in it, brought a world of people together who care to make change. Problem is, I’m not healthy enough to do this work. My body and my mind fail me. And without good doctors around me to help me be even a little functional, I don’t get to contribute to anything. I can’t type enough to organize more, write more resources, share more information because my wrists hurt. I can’t carry all of my necessary items (meds, food, distress tolerance kit, etc) with me because it’s too hard to carry it for long. The spasms in my neck/back keep me from activity. The headaches cloud my brain. Every part of me hurts. My hip hurts, my elbows hurt, my fingers hurt, my stomach hurts, my foot still healing from surgery is sore. My head hurts, my neck hurts, my back hurts. And my mind hurts. The depression and anxiety alone are crippling on a day to day basis. But advocacy work takes a lot – particularly because of egos and drama that always finds a way in. Add that in and my PTSD, my bulimia, my diabulimia, my borderline all flare and I find myself lost. On top of the normal things that are already fairly difficult. On top of the incredible stressors of poverty. On top of the panicking stressors like my cat falling very ill. It’s all too much. To recover from yesterday will take days. I slept 12 hours last night and awoke in so much physical pain. My brain has been slow all day when I really want to follow up with people and do real work (and there’s so much to be done both on insulin advocacy and other realms – health IT, patient engagement, research, new policies, and it goes on). There are opportunities that would be there if I could be more functional. But I can’t think clearly enough and I can’t go outside that much. I’m too unwell. All I want is to be able to make a difference. My doctor and nurse in Austin understood that. They knew that I wasn’t likely to ever be 100% functional again but they did everything they could to make me as healthy as possible to make sure I could do the most I might do. They saw the potential in how I could leverage the skills I have to help others. And I got to do some amazing things under their care. I spoke at Stanford, I ran a hackathon with Athena (the EHR vendor), I wrote for IBM, I traveled to DC for policy work, I was involved in life to the extent I could be, even as my body and mind continued to fail. I don’t have that anymore. I don’t have doctors who are that invested. I don’t have doctors who understand trauma enough to know how to reduce the trauma I experience. I don’t have a team (even just 2, even 2 within the same office) that work together to make sure I’m cared for. I don’t have doctors that want to know what’s important to me (though I try to tell them). I don’t have people to make me feel safe at a doctor’s office – which is even more imperative as I confront my trauma more and more. I don’t have anyone who understands how much it hurts to be in a doctor’s office and why. I certainly don’t have anyone who really understands why I’m such a difficult patient to work with. And so I sit at home, alone, isolated, feeling worthless. I am too afraid to see doctors at this point because they’ve hurt me too much. I languish when I know that maybe if I felt safe enough to come to an appointment and if I felt my doctors cared enough, that I could do something. It will never be as much as what I wish it could be. I still mourn the things my disabilities take away from me, the limitations they impose. But it could be something. It could be something like yesterday, something that can help people. I think most people who get into medicine do it because they want to help people. I want the same thing too. I don’t use a stethoscope or a scalpel. I use my voice, my knowledge of the law and advocacy. Medicine is about helping people. I just wish someone could help me so I too could help others. This entry was posted on Friday, March 23rd, 2018 at 7:41 pm and is filed under Advocacy, Doctors, Health Care Providers, Health Policy, Mental Health, Patients, Pharmaceuticals. You can follow any responses to this entry through the RSS 2.0 feed. You can leave a response, or trackback from your own site.